The event on April 23rd at Andalucia Lab…one word: EXCELLENT! And we have to thank this to the 106 companies that attended and participated to make this an unforgettable and content rich seminar. 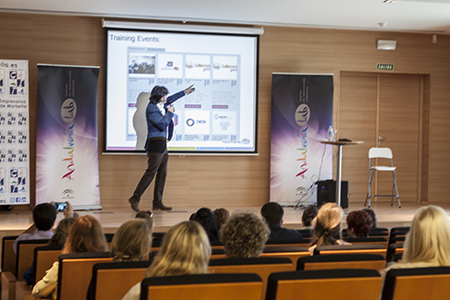 Andalucia Lab in Elviria hosted the event for OptimaSys and the many attendees. In their excellent facilities, an ample room, first class equipment and a great cafeteria to mix and mingle, all spent an enriching and worthwhile experience. 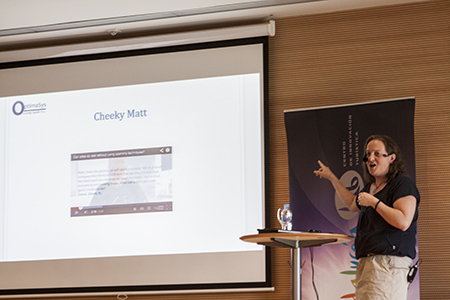 The subject of the seminar was all about online marketing, search engine optimisation and social media marketing. Especially the latest changes were the highlights of this seminar, whereas the attendees were provided with a detailed yet a comprehensive overview of what to do and what not to do. The things that worked a few weeks ago again have changed again and so should every business that has a website and wants to be found. Bottom line is that to be found online, you must create relevant and recent content, make sure it is absolutely unique and is not syndicated to other websites (making it non-unique). You must invest in professional content writers, write many more words and post it according to the guidelines. And this means many hundreds if not more than one thousand words. Sonia Ingriselli was the main speaker of the event. The true brains behind the search engines. As Digital Marketing Manager, Sonia is responsible to steer the team with every new change and update Google and the likes dictate the world. She manages a team of experts and writers to achieve the best results for our clients time after time. At the end of the seminar, five companies were picked randomly and they will receive a free marketing plan, a roadmap to success online which will directly impact their bottom line if and when implemented correctly. “This event was all about giving to the community. OptimaSys Group Spain did this to show how we contribute to our local business community and hope that we all can help each other better in the future. 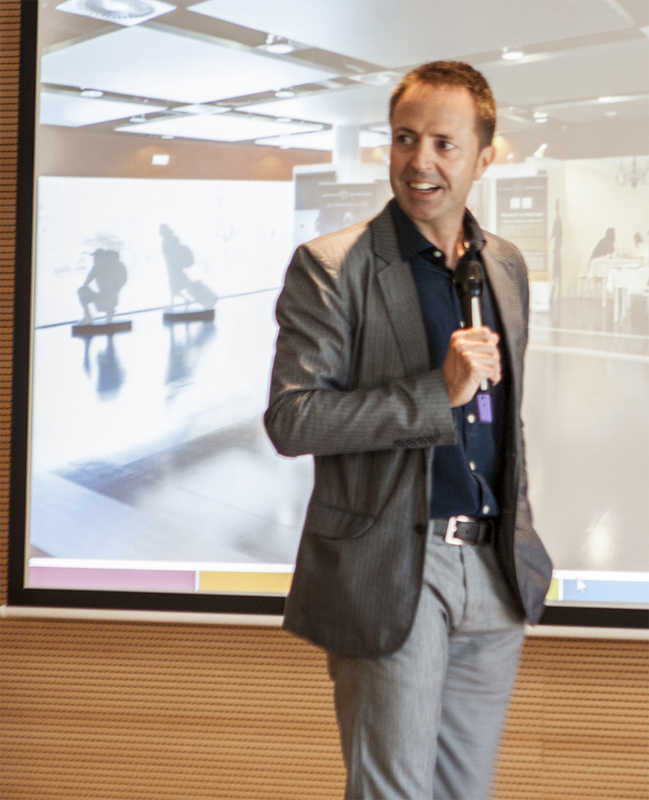 These types of initiatives make all of us better and stronger.” says Geert, Director at OptimaSys Group Spain S.L. If you would like more information about the content of this seminar, on our home page here you can find the presentation used and if we can help you, we offer a free consultation to you and your business.